For over 80 years Gates Travel has served discerning customers in the North West of England and beyond, with branches in Kendal and Ambleside. As the leading independent travel agency in the area it goes without saying that our expertise and knowledge has been developed over this time to such an extent that we can provide the right travel solution to meet every need. We aim to provide a highly personalised service and the very best value possible without sacrificing the quality our customers expect. As an independent agent we are able to offer an unrivalled choice of travel arrangements and as members of Advantage Travel Centres, an association of over 800 independent agencies, we have the buying power to ensure you get the best deal on price. A G Gates Ltd was incorporated in 1932, although the company's origins date back to the early years of the century. 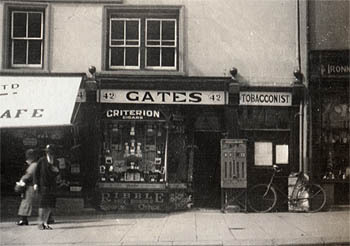 A turning point came in 1933 when the London, Midland and Scottish Railway offered Ashton Gates a licence to sell tickets, establishing a railway booking office in Kendal separate from the local station. In those days the railway companies owned their own hotels and operated many of the ferry routes to Ireland and the Continent, all of which could be booked at A G Gates. Now with branches in Kendal and Ambleside and a dedicated Business Travel department, Gates Travel serves customers from across the UK, continuing to provide dependable service, individual care and professional advice. Why book with Gates Travel? Gates Travel is 100% independent from any tour operators, which allows our travel consultants to select the most appropriate travel suppliers for your needs. We are members of AITO, the Association of Independent Tour Operators, giving us access to the unrivalled range of holidays offered by AITO members. More information about AITO is available by clicking here. Booking at Gates Travel combines the best qualities of an independent travel agency - knowledgeable travel consultants who are passionate about travel and who take personal responsibility for meeting your travel needs. 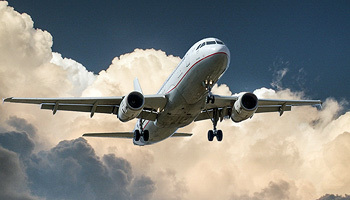 Find out more about the benefits of booking with an ABTA travel agent and about financial protection for your holiday. Visit gatestm.co.uk to find out how organisations large and small benefit from our exceptional service.